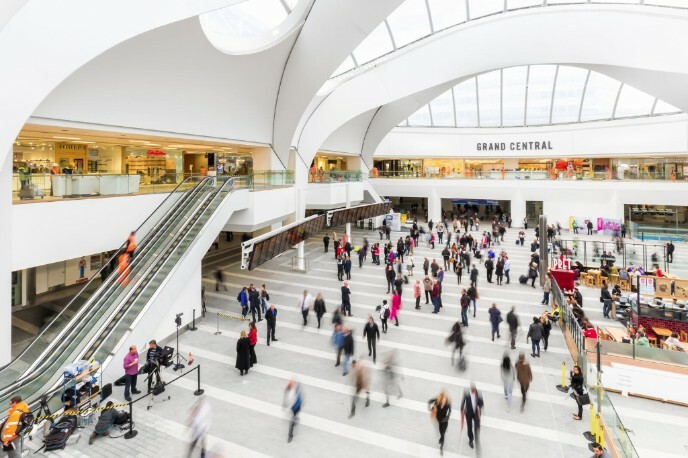 Lay thine eyes upon the calm and airy surrounds of the city's nexus - of its handsome, shiny welcome to the 34 million people that visit Brum each year. And we're not being even a little bit facetious. 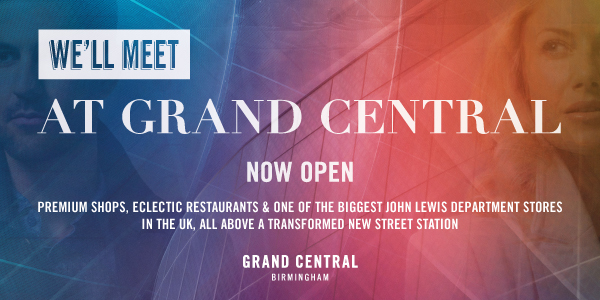 The micro bakeries, apothecaries and noodle bars of Grand Central, which surrounds the ever so new New Street Station open today so here's our pick of the places to spend your hard-earned pound. Say what you will about hipsters, they know how to juice. 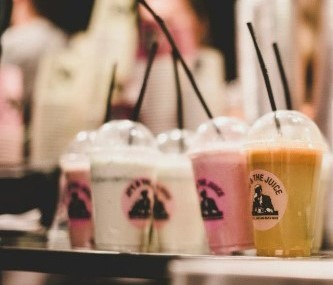 And as juicing is now a thing, Copenhagen - the centre of all things brooding and bearded - has arrived in the Midlands in the form of Scandi juice and coffee bar, Joe & the Juice. Pick from more than thirty combinations and immediately feel like a Viking. A Viking that obeys all laws. 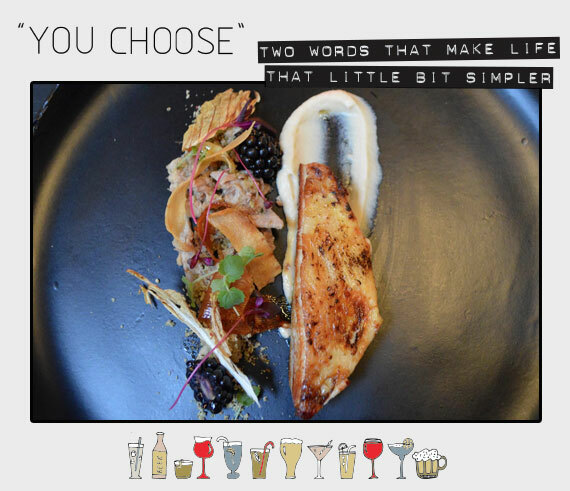 Want to try the best restaurant in the world? Well, El Bulli closed, so you can't, but you can now get authentic, affordable tapas crafted by Omar Allibhoy, who trained under El Bulli's head chef. 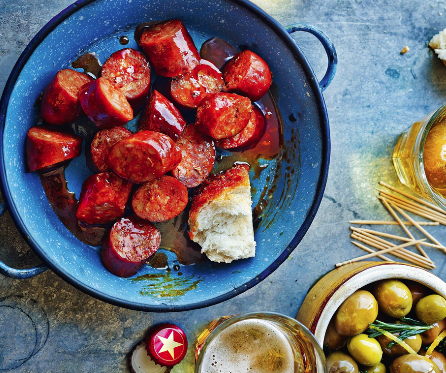 And Omar's handsome first restaurant outside London is huge on flavour, with all ingredients sourced from Spanish artisan producers. Menu. The retail industry's answer to secret Santa (for when you like the giftee), Tiger, offers a rapidly changing range of in-house designed kitchenware, stationery and a whole heap of stuff we're not totally sure how to categorise. 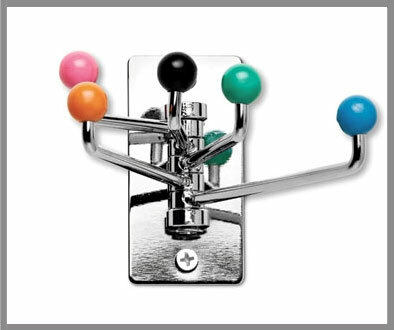 And it's all refreshingly coin purse pleasing - this 70s-style atomic coat hook will set you back less than a pint. The national dish of Vietnam is pho. 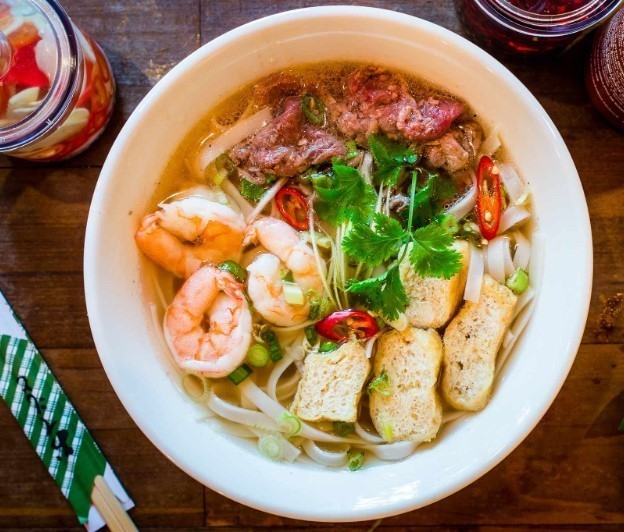 And that's something that's just become need-to-know as a noodle bar and take out of the same name (pronounced 'fuh') opens its hearty, healthy, slurp-filled doors to Brum. Conceived on the streets of Ho Chi Minh, the phở đặc biệt (pictured) is a great jumping off point. 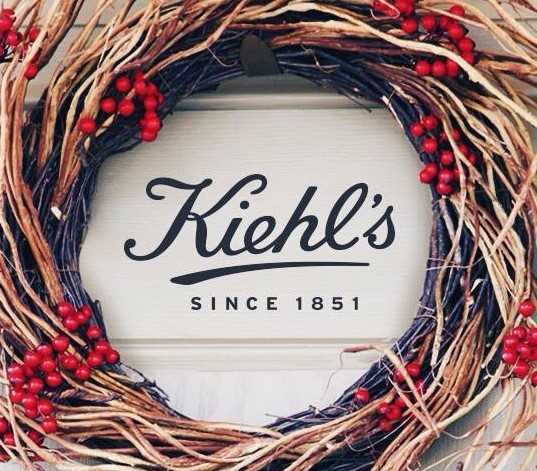 Founded in New York’s East Village, Kiehl’s started life formulating bespoke preparations from its 19th Century apothecary. The now global skin care specialist's new Brum offering cleverly mirrors NYC's Grand Central Station in design and graphics. 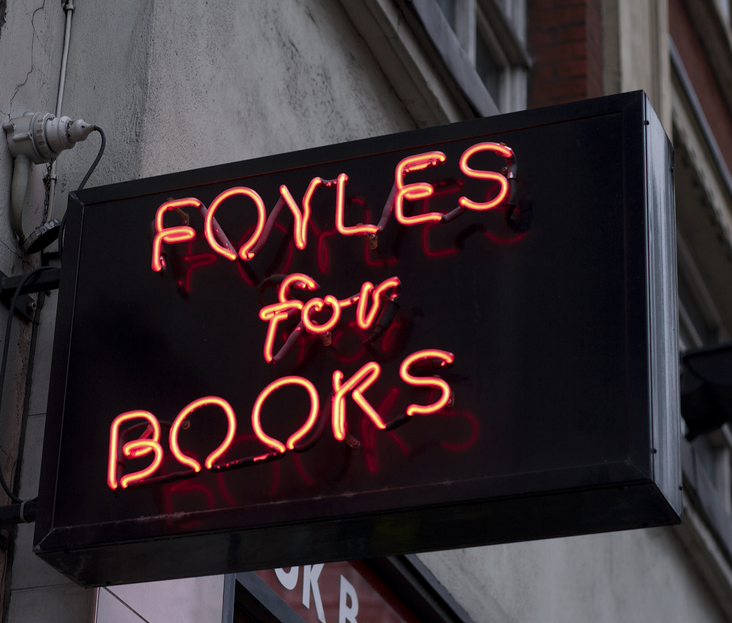 And we can personally vouch for its aftershave balm and moisturiser. Heavenly. The average giraffe's neck is 6-foot-long and weighs about 600 pounds. No excuses needed for a big breakfast then. And rarely does the first meal of the day get more serious than when taken in the form of a burrito. 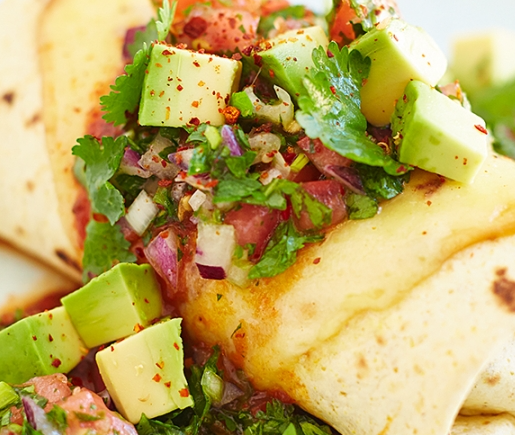 Chorizo, scrambled eggs and jalapenos is just some of what features in all day eatery giraffe's brekkie burrito. Open Monday. 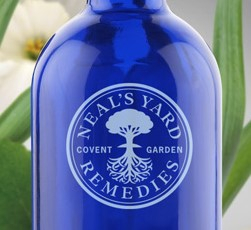 After more than thirty years of trading, the iconic blue bottles of Neal's Yard are finally in our yard. Testify. Probably the best thing that's ever happened for mother's day in Brum, the oh so natural set up is the out-and-out master of hand cream and all things aromatherapy. And that's not a sentence we ever thought we'd pen. 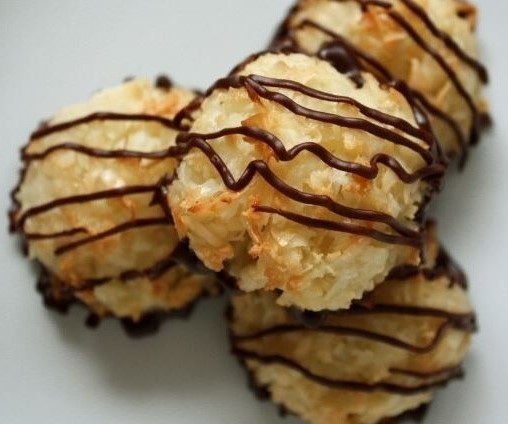 Edgbaston-based micro bakery, Cocomacs, gifts to the world fresh batches of macaroons, daily. And when we say gifts, you do have to pay for the coconut-filled, mouthfuls of happy (three for £4) but can now do so seconds from the train. Remember the moment Krispy Kreme lost the title 'office treat of choice'? It was today. If you're struggling to work out which decade you're looking at, that's kind of the point. Brum illustrator and all round good guy, Josh Whitehouse, has created four works which each capture a different tale from Bearwood's history. 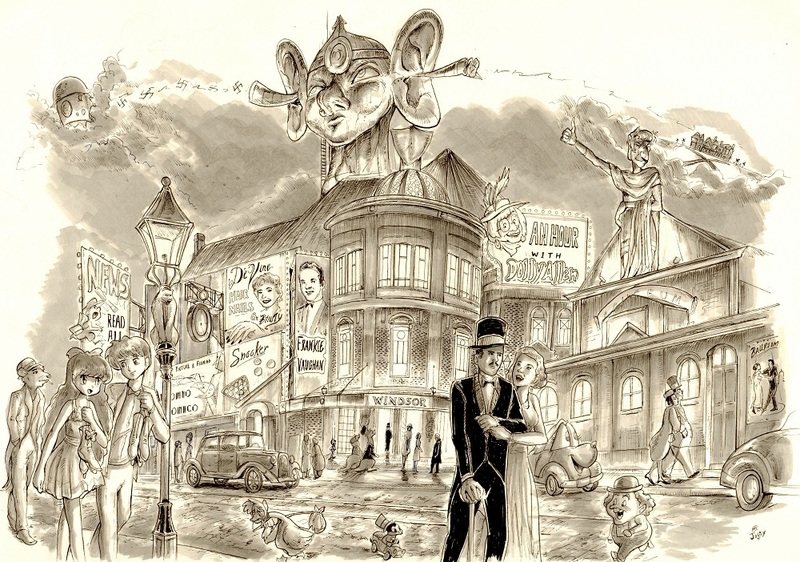 The illustration pictured records the multifarious life of a snooker club on the Bearwood Road, which was well known as the Windsor cinema, then an ice-skating rink but rather less conspicuous as a spy's listening post during WWII. An image which offers increasing amounts the closer you look, check out the contemporary influence of anime, Disney and even the Asterix comic books on the age defying protagonists to Josh's work. Exhibiting from October 3 to 10 at Ooops Gallery, free entry to anyone who can work out the historical significance of Mother Goose's presence in the montage. In fact free entry to each and every one of you. Since opening in July, this 26-seater enclave has become the Jewellery Quarter’s worst kept secret, winning top notch reviews and knowing nods all round. Expect a 'New Baltic' menu packed with pickling, fermenting and wild produce like lovage, samphire and sea buckthorn. There’s a frozen sorrel leaf palate cleanser that tastes like lemon sherbet (think Michelin-starred Dabbous) and a tartare drizzled with a smoky, coal-infused oil. It’s all mightily impressive, especially given the volume of new dishes head chef, Nik, creates. One of his latest plates is a herby guinea fowl breast (think very high-end chicken), served with terrine of leg, cauliflower puree, candied parsnips, bulging blackberries, fennel and almond sand. Go. Feast. Take a friend, even. Mind the Dalek. 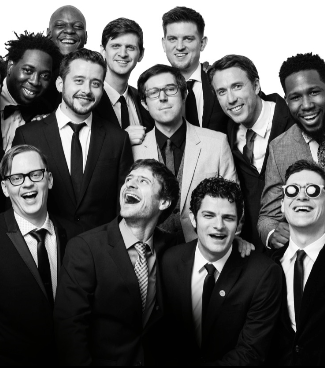 Snarky Puppy is a Grammy award-winning, Brooklyn-based musical collective that just so happens to be coming to Digbeth's Institute on October 4. And rather than using up words dissecting the band's unusual moniker (though, really? ), here's why you care. Globally revered, the sizeable outfit describe their music as an "infectious mixture of jazz, funk, world, soul and dance" (not ones for genres then) and have clearly got form, performing with acts ranging from Erykah Badu and Justin Timberlake, to a Burundian refugee and Holland's Metropole Orkest (a collaboration which topped a ludicrous number of jazz-based charts). The Pups are known for incredible improvisation at gigs. 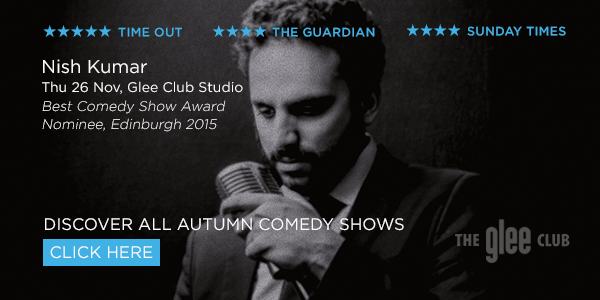 And as their 2010 hit album is titled, 'Tell your friends'... Tickets here. When it's our birthday, there's typically food, drink and three other people. 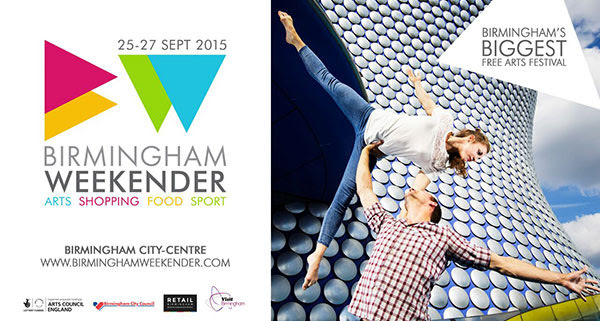 Launching in to its mid-twenties, Birmingham Royal Ballet is opting for a rather more energetic proposition. Variations is a triple bill contrasting ballets that showcase the Company’s extraordinary range: classical, abstract, and distinctively English. The programme includes the ballet that launched BRB's inaugural 1990 season (think love letter to classical Russian ballet), followed by an athletic piece danced to a pulsing, hypnotic score. Enigma Variations rounds off proceedings with an elegant and eccentric work. From October 8 to 10, there's over 200 tickets for each performance at but £10 a pop - a thank you to the people of Brum - because a party bag just doesn't cut it these days.